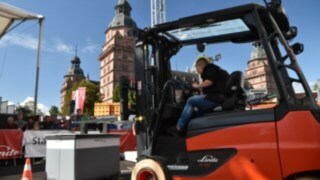 At the grand finale of the ForkliftCup in Aschaffenburg from 14 to 16 September 2017, almost 200 participants, amongst them 15 company teams and 19 international teams, demonstrated their skills once again. 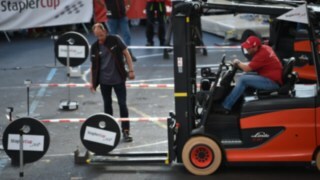 Only the elite of forklift drivers was able to qualify for the championships. 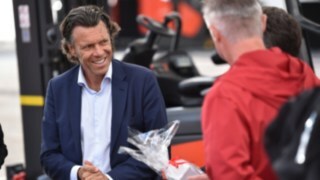 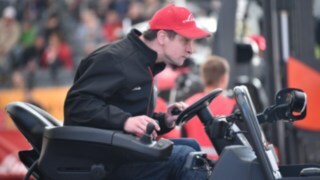 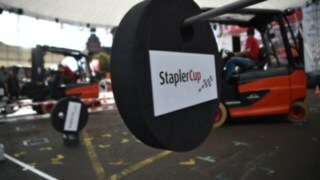 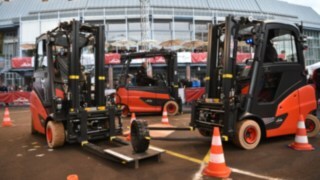 The master team of the companies, the international champion team as well as the German champion and the German champion in forklift truck driving were determined in demanding competitions. 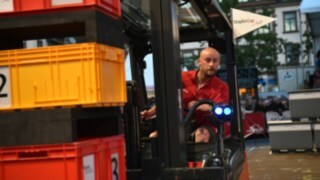 For one weekend everything in Aschaffenburg revolved around the topic of forklift driving and the necessary precision and speed. 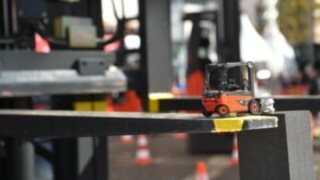 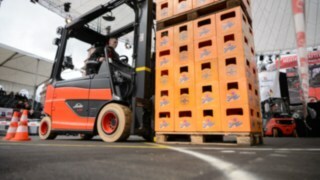 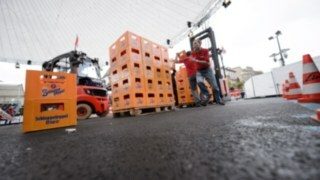 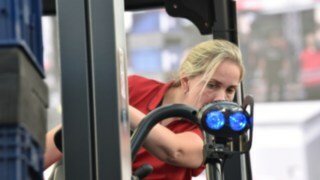 Twelve women qualified through the 25 Regional Championships for the German Women's Forklift Championship. 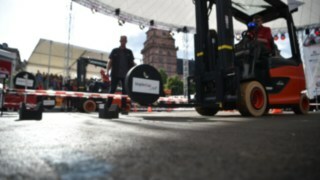 In Aschaffenburg they competed against each other to prove their speed and skill. 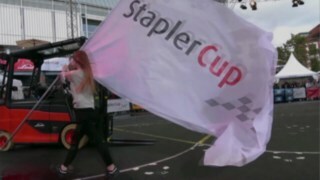 After a bumpy start, Steffi Schuster was able to defend her title in an exciting contest again this year. 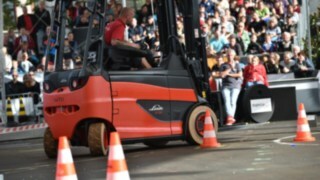 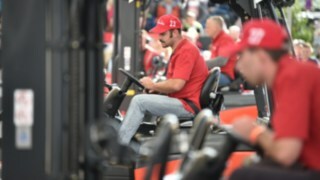 At the German Forklift Drivers' Championship 63 starters competed in the thrilling competition. 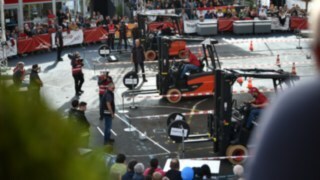 Encouraged by the spectators, the finalists delivered a nerve-racking head-to-head race. 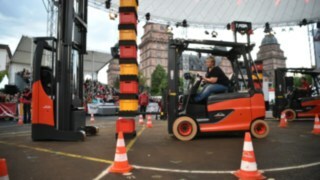 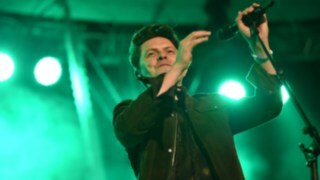 Jörg Klößinger kept a cool head until the end and was able to beat second-placed Uwe Holstein and final newcomer Sebastian Schenkelberg. 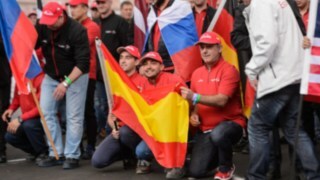 "One for all - all for one" was the motto of the 10th Company Team Championship. 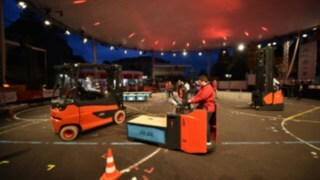 15 teams, including teams from Russia, Spain, China and the USA, competed against each other in various competitions and entered a thrilling race. 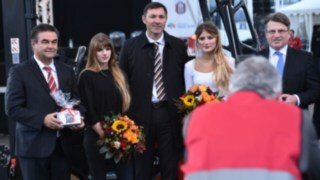 The spectators also contributed to the good atmosphere. 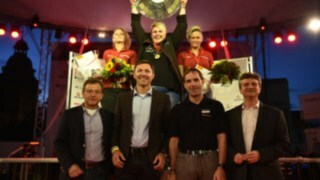 The Lorenz Snack-World team beat the competition in the elaborate course and emerged as the winner in 2017. 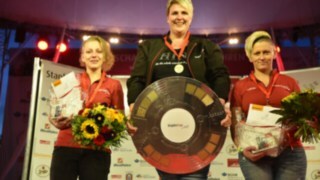 Italy accepted the winning cup at the 2017 International Championship in Aschaffenburg. 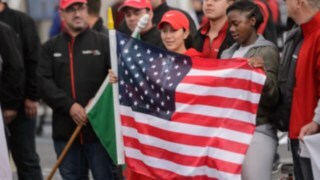 19 nations competed against each other in a nerve-racking contest, competing in a hard-fought championship race. 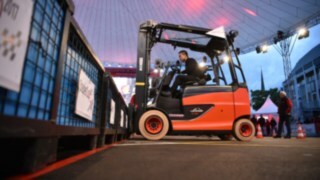 Massimo Sinuello, Gabriele Battaglia and Renzo Coran won the final for the first time, but without any mistakes.